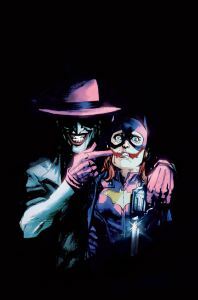 This image caused a stir because of the sexual undertones and the fact that it hearkened back to one of the darkest points in Barbara Gordon’s history: The Killing Joke. For those few who haven’t read this graphic novel, it’s the comic where the Joker cripples and humiliates Babs in order to get at her father. It was one of the most problematic moments in the story, and even Alan Moore has gone on record regretting the decision to cripple her without paying much attention to the trauma she’d suffered. 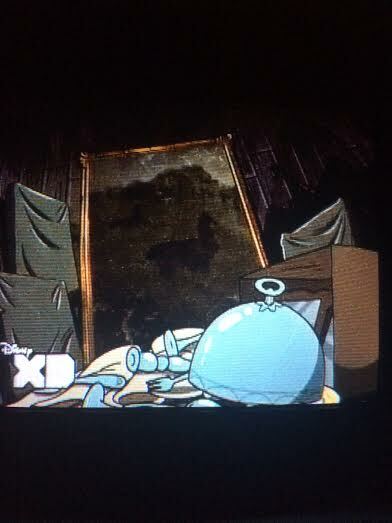 This indicates that Pacifica is probably the llama on the cipher and will probably have a major role in the storyline. 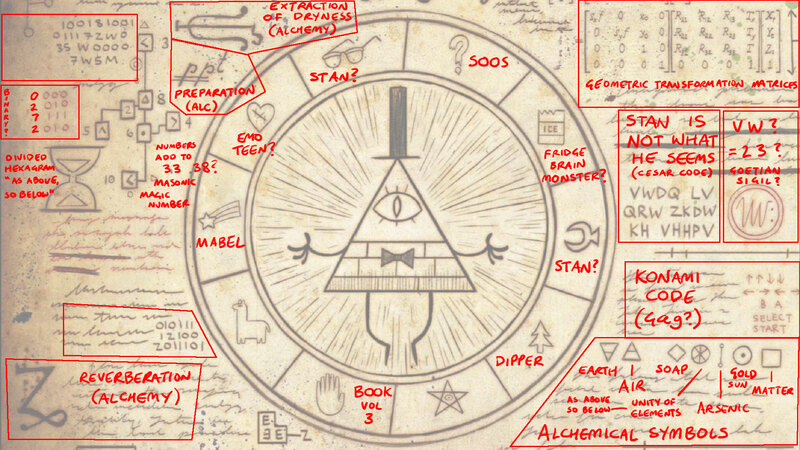 So what do you think Gravity Falls fans? Is this a possibility? Are there any other codes or Easter eggs that you’ve found? Also, I’d like to thank my little sister and her sharp eyed friend for pointing this out. You two are awesome! Why Do We Need Superman Anyway? I’m a firm believer that you can tell a lot about a person by his choice of favorite Ninja Turtle. Obviously, if you prefer Donatello, you’re into math and science. If you like Mikey, you’re laid back and fun loving, and if you like Raph, you’ve got a rebellious streak. But what about Leonardo? Does that mean that you’re a boring stick in the mud as many have called him? * Why is it that people don’t really care much for Leo? It’s war of the worlds with samurai. Do I really need to say more? Go buy it. Yesterday. 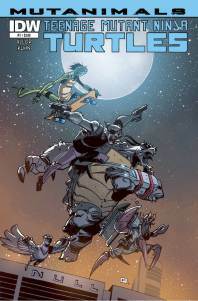 It’s a fantastic six issue series set twenty years in the future of Usagi Yojimbo, a comic about a samurai rabbit who wanders the Japanese countryside. That’s literally all you need to know going in. The main character, Usagi, the bounty hunter Gennosuke, and Usagi’s son, Jotaro, have become high ranking members of the Geishu clan. They’re waging the deciding battle in the war against Lord Hikiji when a giant, mysterious object falls from the sky. 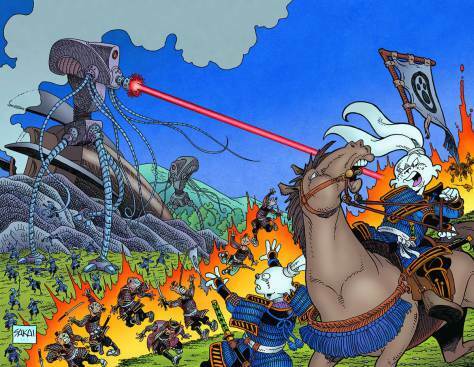 From then on, it’s war: samurai versus aliens and it is glorious. Each issue is action packed and chaotic, with fantastic artwork. Stan Sakai is the master of the action sequence and mixing loud battle scenes with quiet character moments. 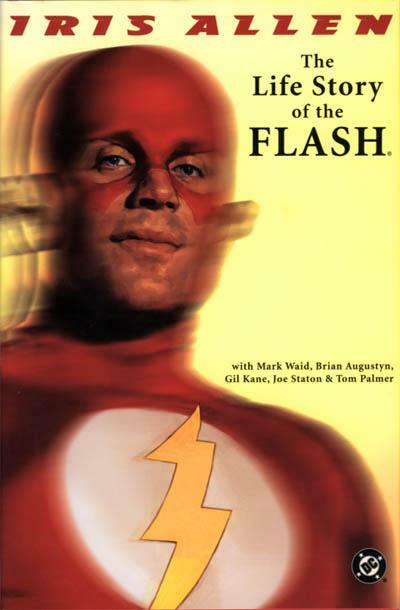 In the twenty years between this series and the main, a lot has obviously happened. Hello, everybody at NBC! I’m Katharine, the site’s biggest newbie. 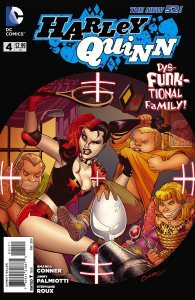 For my inaugural post, I thought I’d take a look at Harley Quinn #4 (you can read my thoughts on the first volume as a whole here). Why this issue in particular? Of all the issues, this one had the biggest flaw, and that’s what makes it the most fun to talk about. To me, this is the issue that took things a bit too far and went from funny to mean spirited. It pushes the boundaries of what makes a sympathetic character.